In 2005, I created a large work for ARTexhibitionLink which showed in Rome and Berlin. During the Rome show, a video was made of me talking in front of that large work. 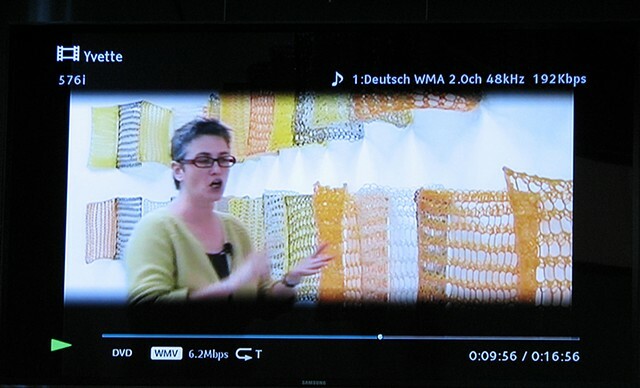 Since it was not possible to nail into the walls at Jenoptik, the curators decided to project a loop of the video with no sound onto the large entry wall. Adjacent to the lobby is a small gallery that informs of Jenoptik's technology and accomplishments. Within one of the displays is the same video with sound (this image).